Bought a Downtown 2-Unit Rental Today! 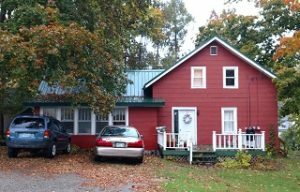 Cryptic House LLC has just closed on another rental property, 35 Beech Street in Orono. This little 2,002 sqft gem was built in 1886 and sits on a fabulous plot of downtown real estate. It’s a short 1-2 minute walk from the village area’s many restaurants, shops, and bars, making it a perfect college rental. With some interior renovations, repainting of the exterior, paving, and an overhaul of the landscaping, this will be a really desirable downtown property. Quality Rentals With Character At Affordable Rates.